Traditional wheelchair access is all about ramps and lifts and tarmac. It relies on modifying the environment to make it wheelchair accessible. It ignores the countryside because the countryside, if you modify it, isn’t the countryside any longer. This view is reinforced by the comments of Hannah Cockcroft on Countryfile as reported by John Craven. 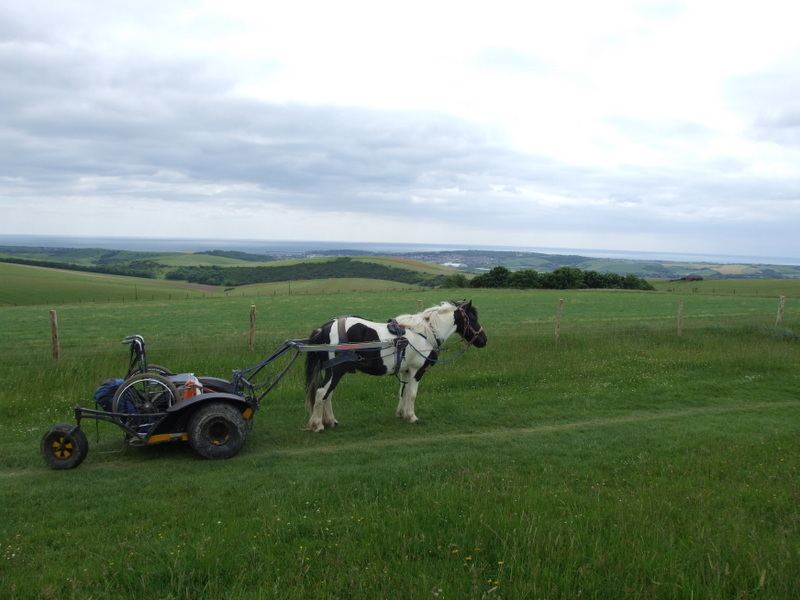 Today the South Downs Way is completely wheelchair accessible. No concrete has been poured, no boggy bits have been drained, nothing has been cut or modified. The countryside remains completely undisturbed. 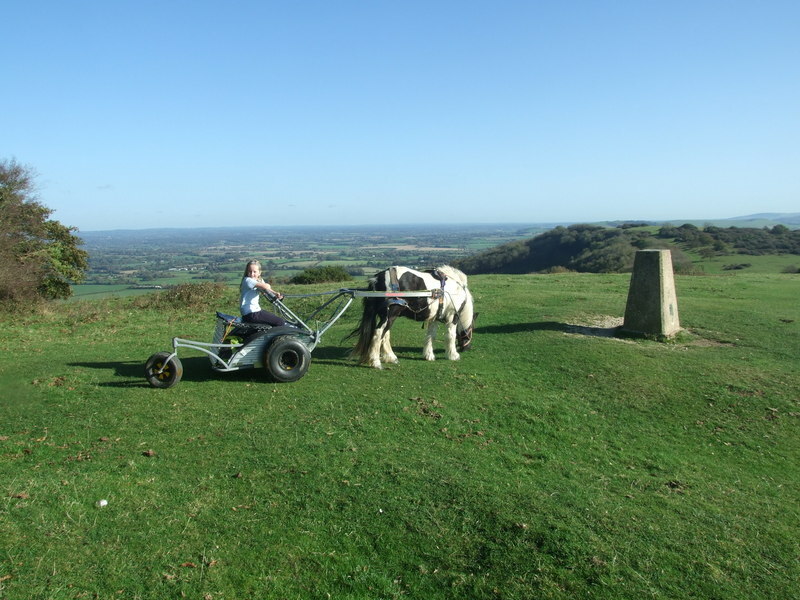 The only change is that people who use wheelchairs can enjoy all of the South Downs Way. No more sitting in the car park dreaming. 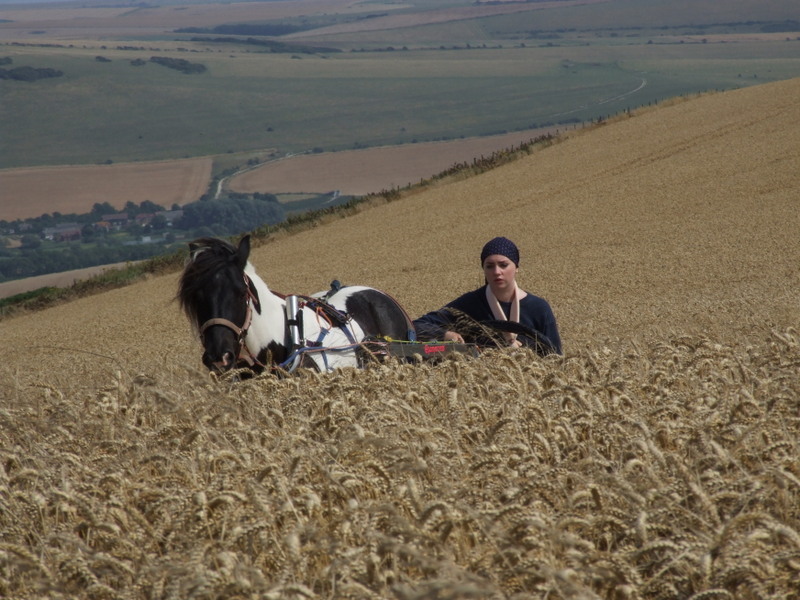 Pony Access makes wheelchair access easy, safe and green, from Beachy Head to Winchester. Andy Gattiker, the South Downs Way National Trail Officer, was the driving force to make the South Downs Way the first Inclusive National Trail, not just in England, but globally. 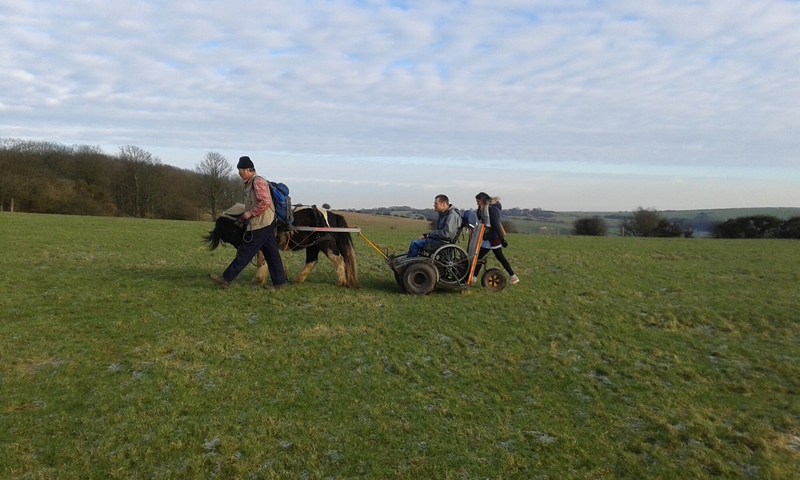 His support and enthusiasm will change the way people with disabilities see the countryside. No more regretting that you can’t visit Blackcap, Firle Beacon, Devil’s Dyke or Old Winchester Hill. You can. And you can visit all the bits in between. You can watch butterflies, skylarks or hang gliders. You can look for fossils, walk the dog or see Sussex Surrey and Hampshire laid out for your inspection. 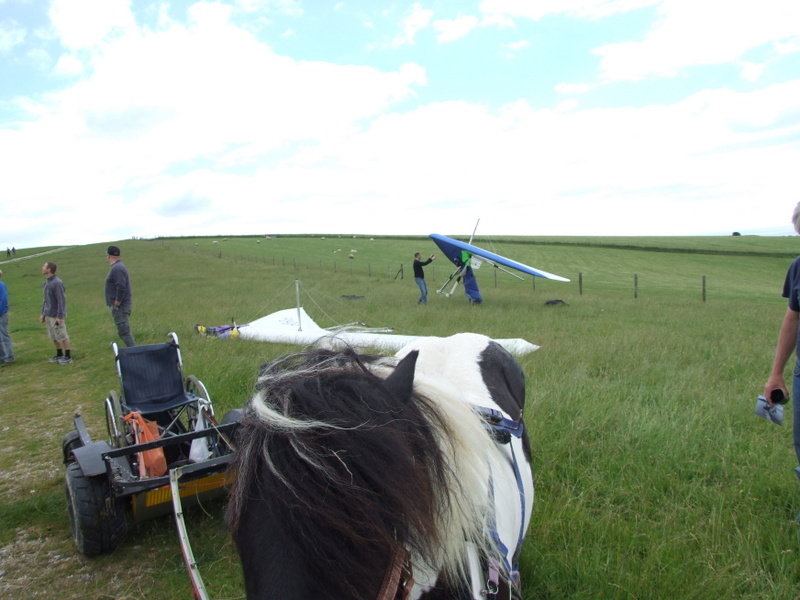 This isn’t a horse or pony based activity, this is all about access. The pony provides the best all terrain propulsion system. Incredible traction, awesome torque, voice activated control systems, just not the sort of horsepower that inspires Jeremy Clarkson. The iBex Saddlechariot pony drawn vehicle is totally modern, totally safe, and designed from scratch to be wheelchair accessible. It takes any wheelchair, powered or manual, across anything. In addition it can carry people who don’t bring their own chair. So if you have mobility issues, but don’t use a wheelchair, it provides full access. It even works for perople who have no mobility problems at all. It is an access system, access for anyone, anywhere. We don’t discriminate.